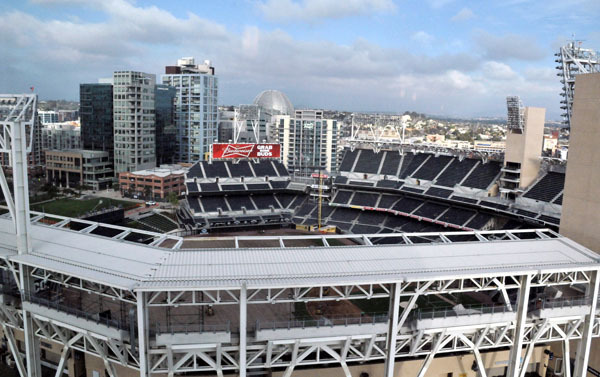 San Diego-based Petco will mark the 10th anniversary season of its namesake ballpark Sunday by presenting a $10,000 check to the San Diego Humane Society. 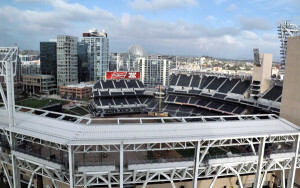 Petco Park opened in 2004 as the home of the Padres, who moved from multi-purpose Qualcomm Stadium in Mission Valley to the more baseball-friendly facility near downtown. The stadium subsequently spawned a building boom in the East Village with condominiums, hotels and the new Central Library. “Our partnership with the Padres helps us connect more deeply with our hometown community while also raising awareness for local and national animal- welfare causes and finding homes for deserving pets in our own backyard,” said Jim Myers, Petco CEO. Pre-game ceremonies before the 1:10 p.m. contest against the Miami Marlins will also include recognition of San Diego Fire-Rescue Department Deputy Chief Lorraine Hutchinson. The breast cancer survivor is one of 31 honorary bat girls representing Major League Baseball teams.